After a seven year rollercoaster ride of go/no-go for the fifth and final Hubble servicing mission, Service Mission 4 (SM4) was finally flown in May 11-24, 2009. During the mission two new scientific instruments were installed: the Cosmic Origins Spectrograph (COS) and Wide Field Camera 3 (WFC3). Two failed instruments, the Space Telescope Imaging Spectrograph (STIS) and the Advanced Camera for Surveys (ACS), were brought back to life by the first ever on orbit repairs. With these efforts Hubble has been brought to the apex of its scientific capabilities. 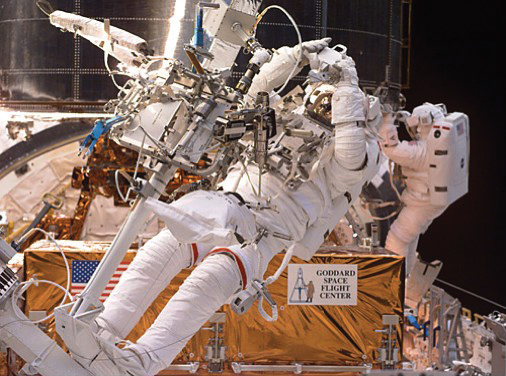 To prolong Hubble's life, new batteries, new gyroscopes, a new science computer, a refurbished guidance sensor and new insulation on three electronics bays were also accomplished over the 12-day mission with five spacewalks. Additionally, a device was attached to the base of the telescope to facilitate de-orbiting when the telescope is eventually decommissioned, which should not occur before 2014. Administrator Michael Griffin's decision on October 31, 2006 to fly servicing mission SM4 in mid- to late-2008 will bring unique capabilities to Hubble in the form of two new science instruments, Cosmic Origins Spectrograph and Wide Field Camera 3. New gyros and batteries will extend Hubble's life through 2014. In four Space Shuttle Servicing Missions (SM) dating to December, 1993, astronaut crews performed vital servicing tasks on the Hubble Space Telescope (HST), both extending operating life with the replacement of aging hardware, and enhancing scientific capability by very large factors with the installation of advanced science instruments incorporating new cutting-edge technologies. Maintaining and upgrading the telescope in such a way was part of the Hubble mission plan going back to the Program's earliest days, and this foresight produced a modular telescope design which permitted astronaut-friendly servicing operations. 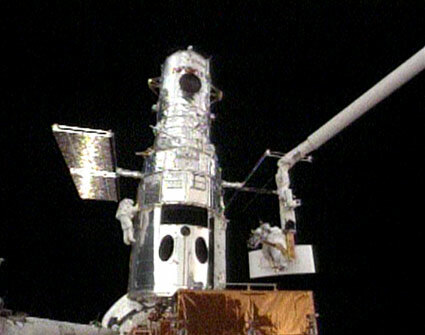 The periodic maintenance and upgrading of Hubble has clearly been the key to its success as one of the premier scientific facilities in human history, and mission-by-mission descriptions of the telescope's servicing can be viewed by clicking on the links to the left (for example, "SM1").